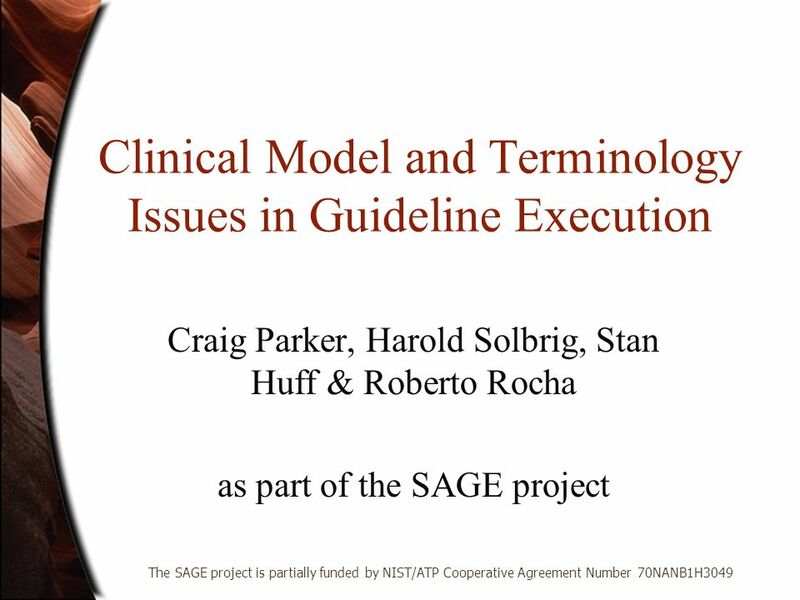 Clinical Model and Terminology Issues in Guideline Execution Craig Parker, Harold Solbrig, Stan Huff & Roberto Rocha as part of the SAGE project The SAGE. 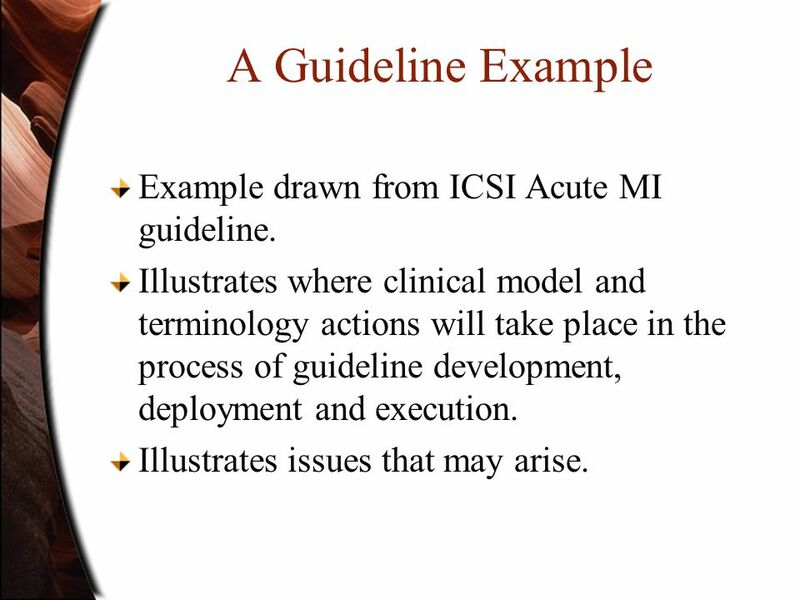 4 A Guideline Example Example drawn from ICSI Acute MI guideline. 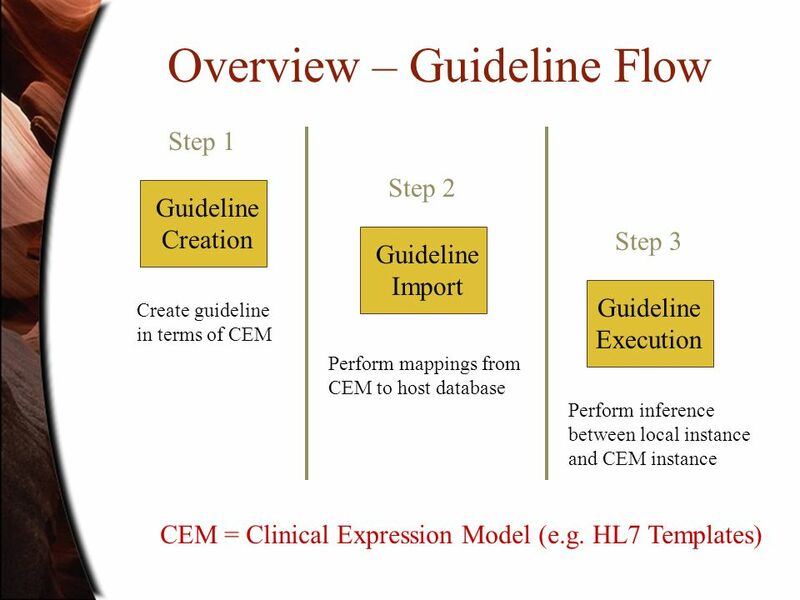 Illustrates where clinical model and terminology actions will take place in the process of guideline development, deployment and execution. 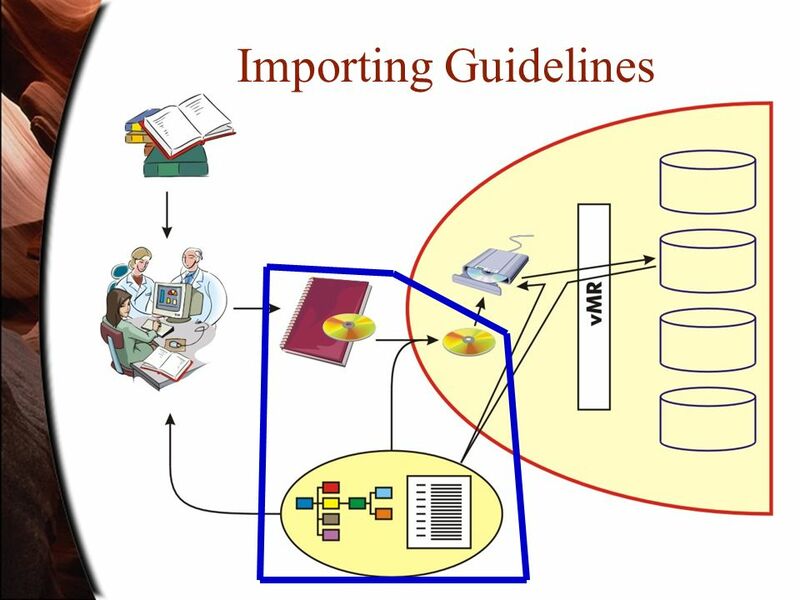 Illustrates issues that may arise. 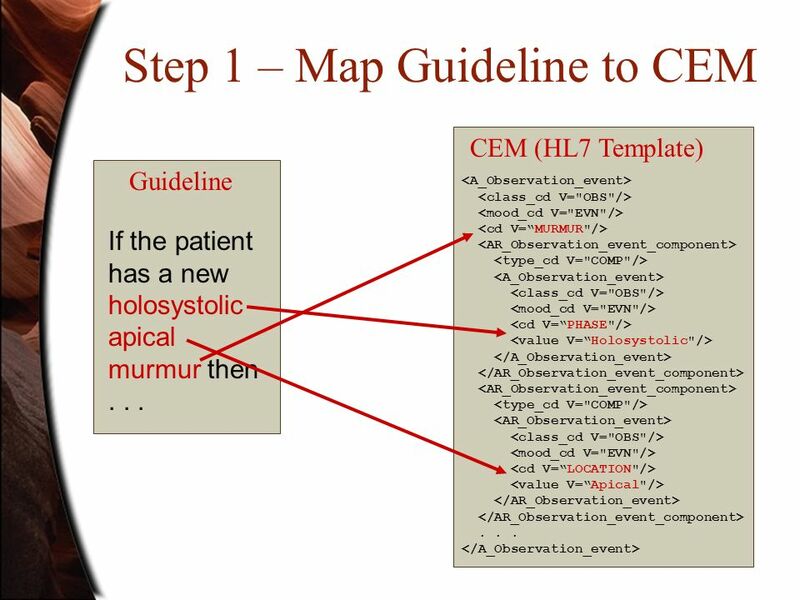 6 We want to say what to do if the patient develops a new holosystolic apical murmur. 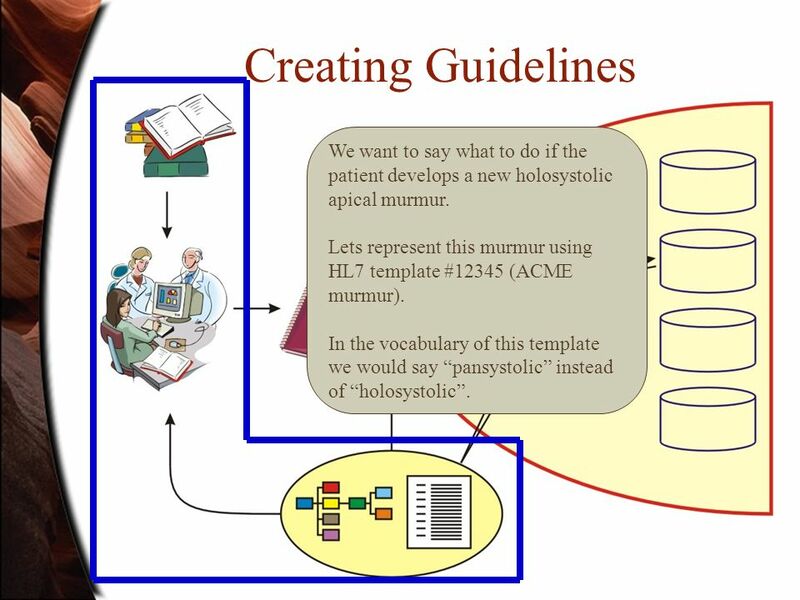 Lets represent this murmur using HL7 template #12345 (ACME murmur). 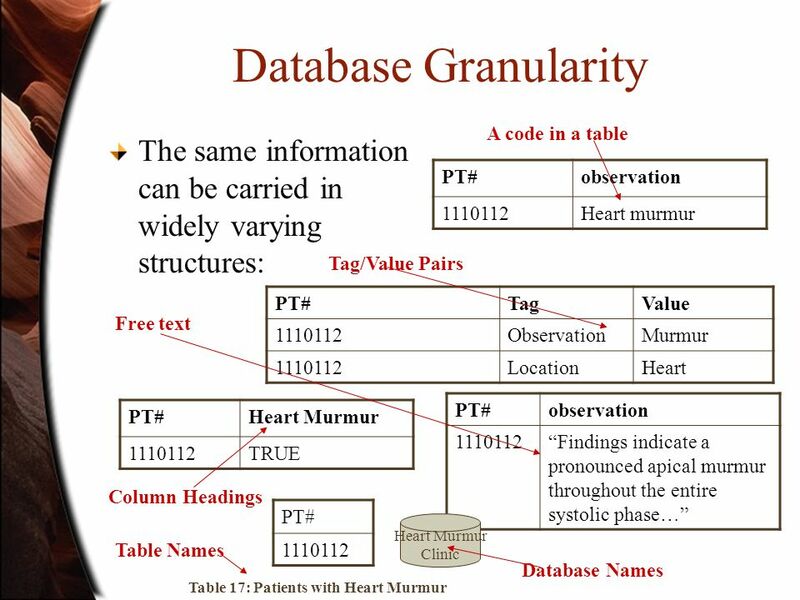 In the vocabulary of this template we would say pansystolic instead of holosystolic. 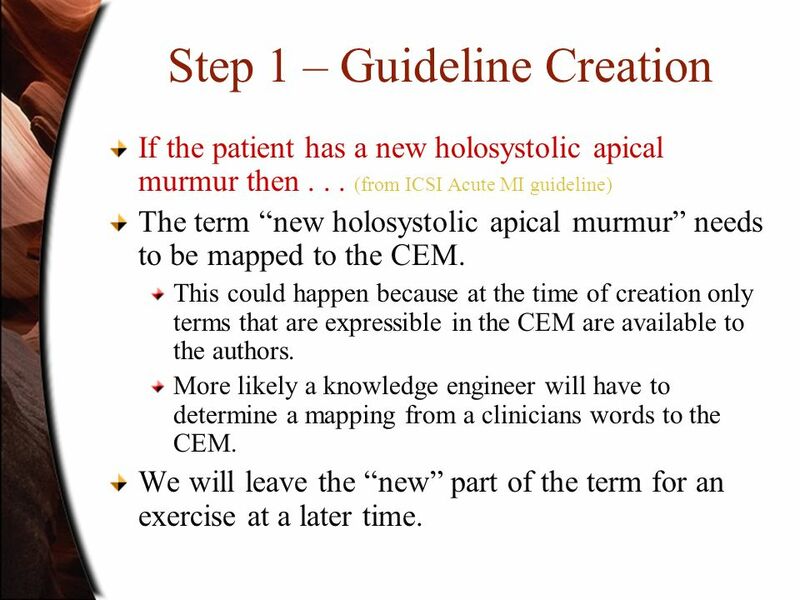 7 Step 1 – Guideline Creation If the patient has a new holosystolic apical murmur then... (from ICSI Acute MI guideline) The term new holosystolic apical murmur needs to be mapped to the CEM. 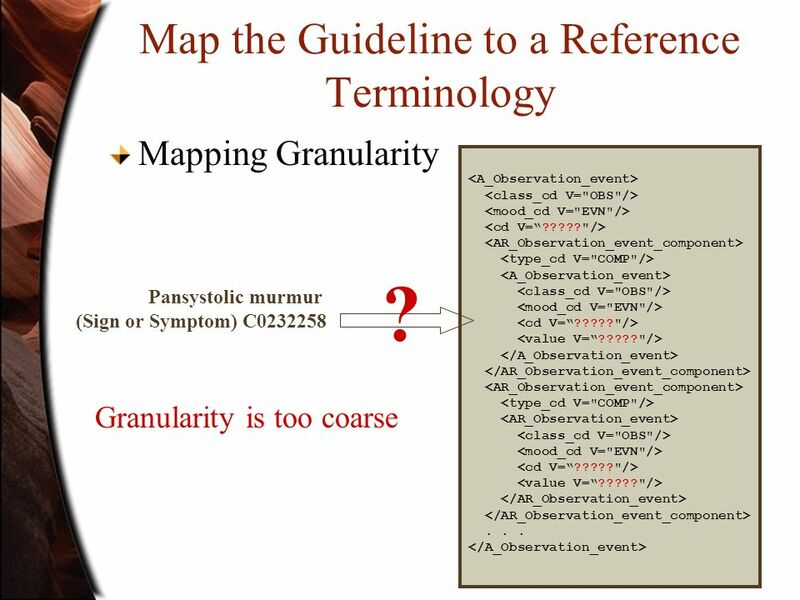 This could happen because at the time of creation only terms that are expressible in the CEM are available to the authors. 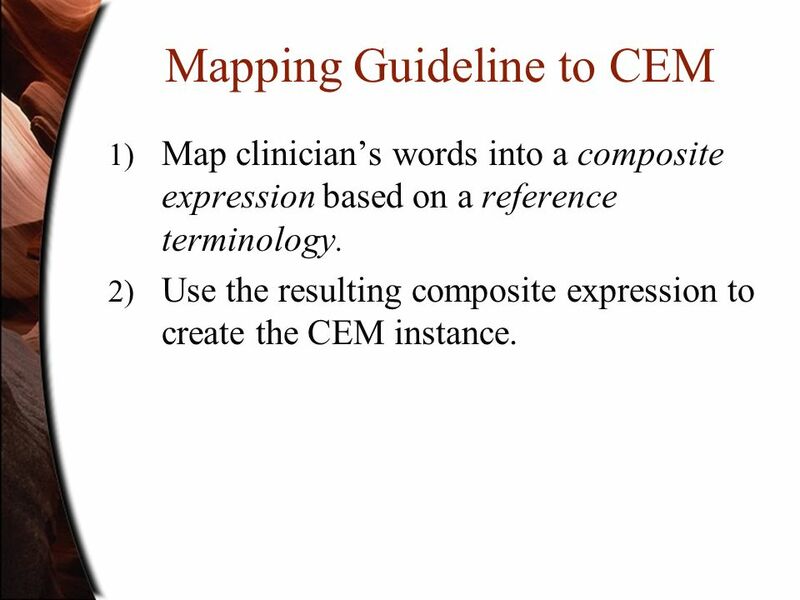 More likely a knowledge engineer will have to determine a mapping from a clinicians words to the CEM. 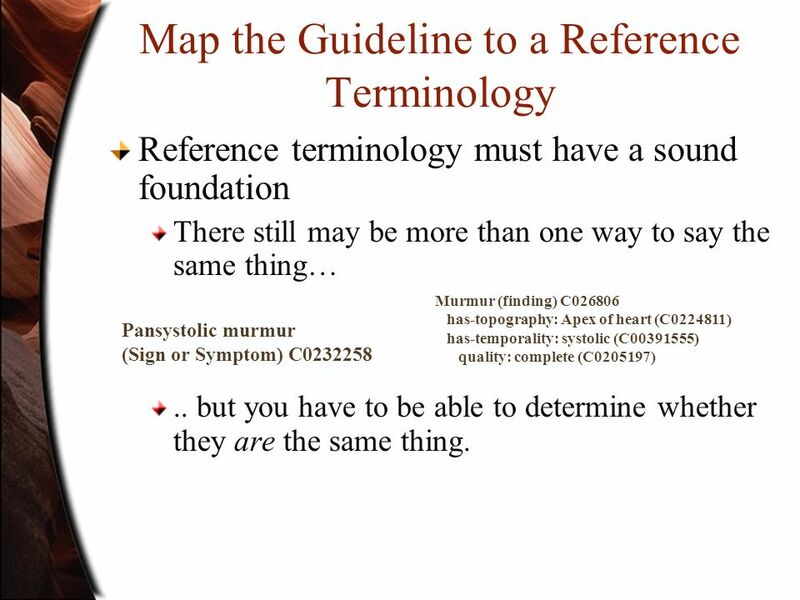 We will leave the new part of the term for an exercise at a later time. 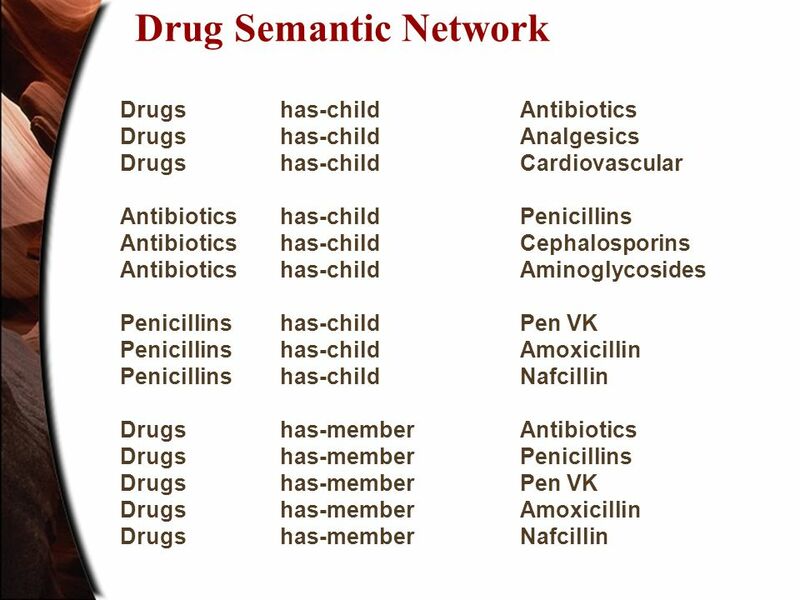 9 Mapping Guideline to CEM 1) Map clinicians words into a composite expression based on a reference terminology. 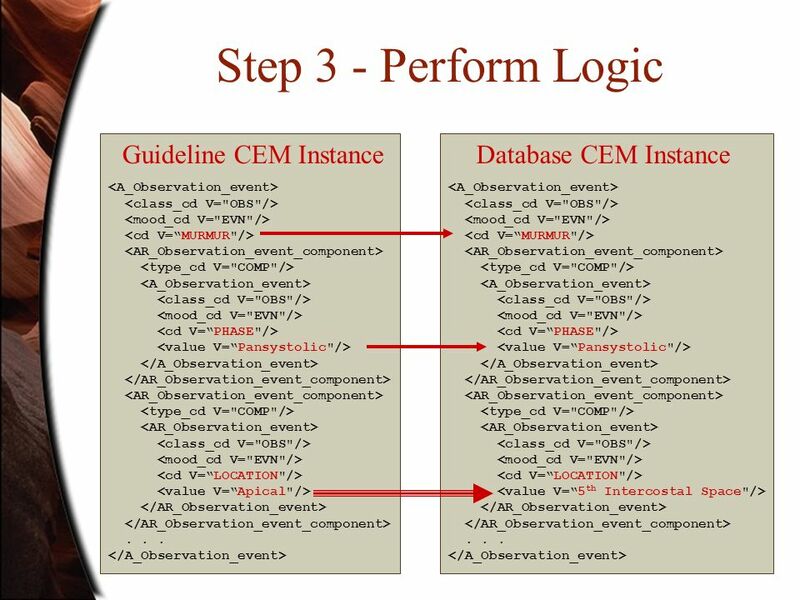 2) Use the resulting composite expression to create the CEM instance. 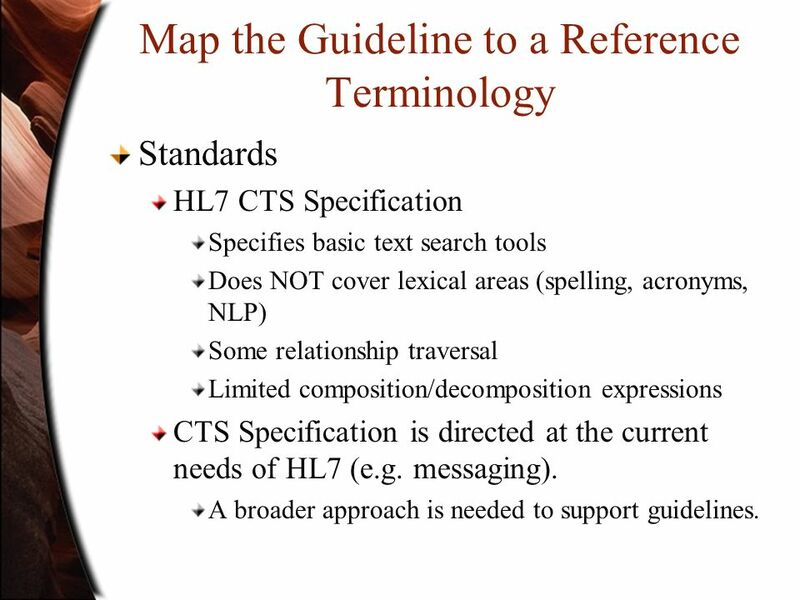 20 Map the Guideline to a Reference Terminology Standards HL7 CTS Specification Specifies basic text search tools Does NOT cover lexical areas (spelling, acronyms, NLP) Some relationship traversal Limited composition/decomposition expressions CTS Specification is directed at the current needs of HL7 (e.g. 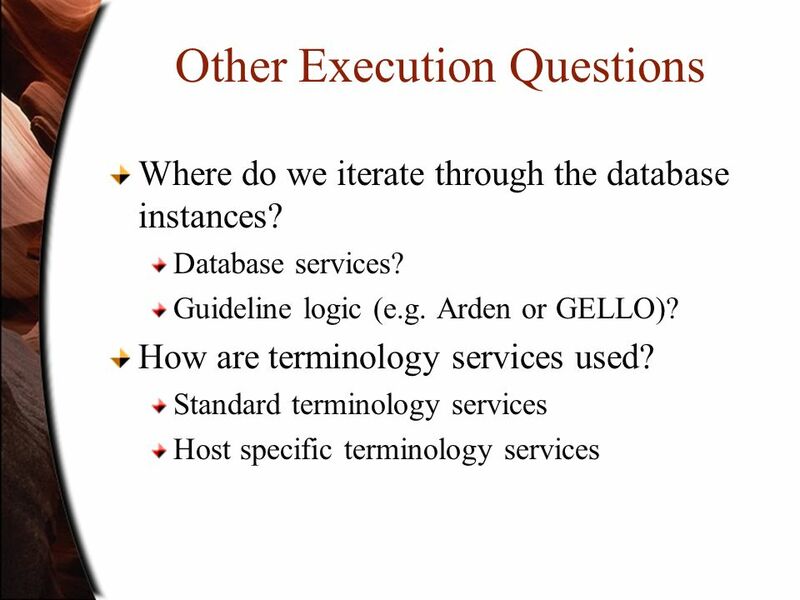 messaging). 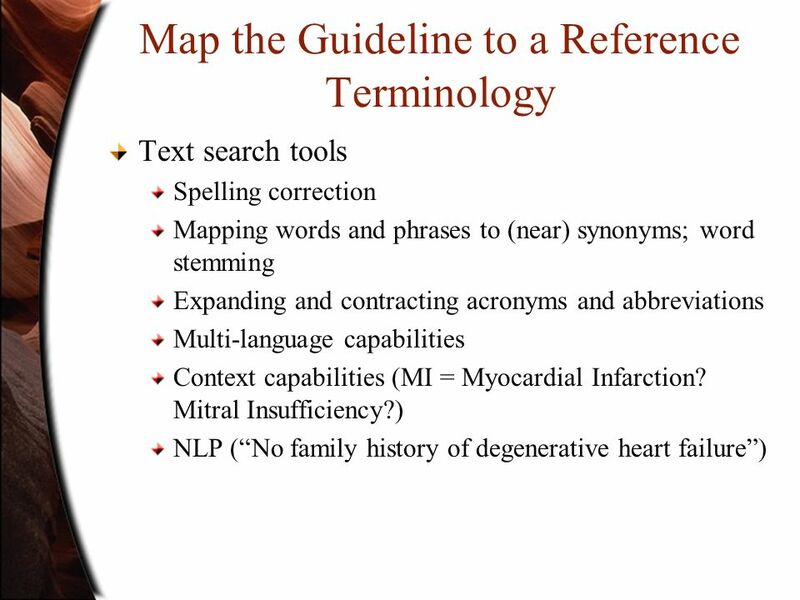 A broader approach is needed to support guidelines. 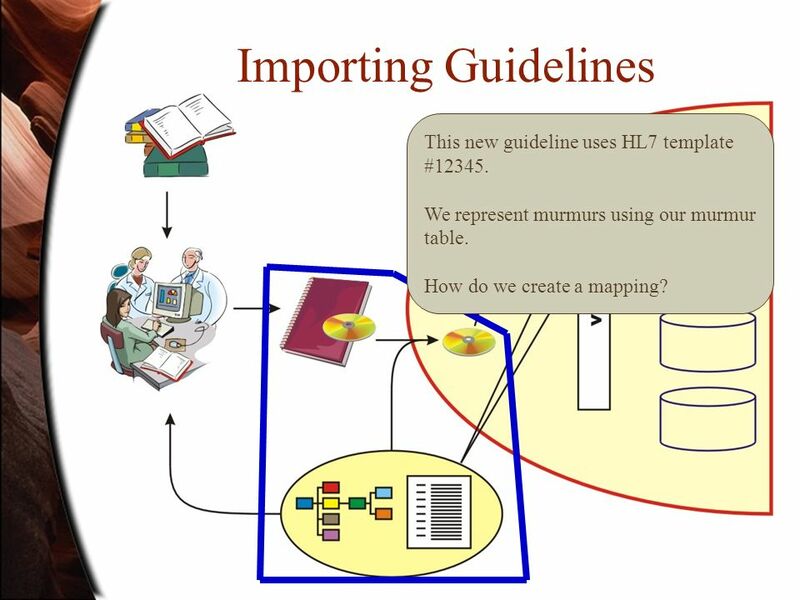 22 This new guideline uses HL7 template #12345. 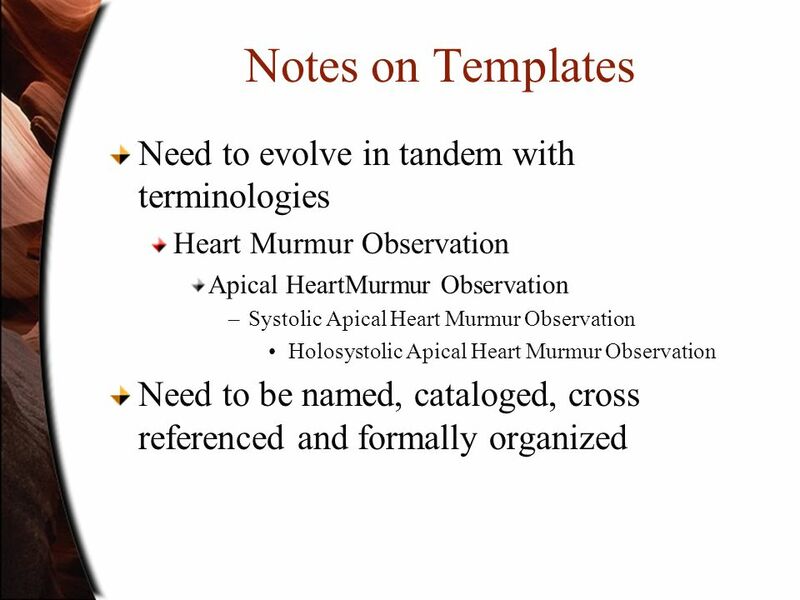 We represent murmurs using our murmur table. 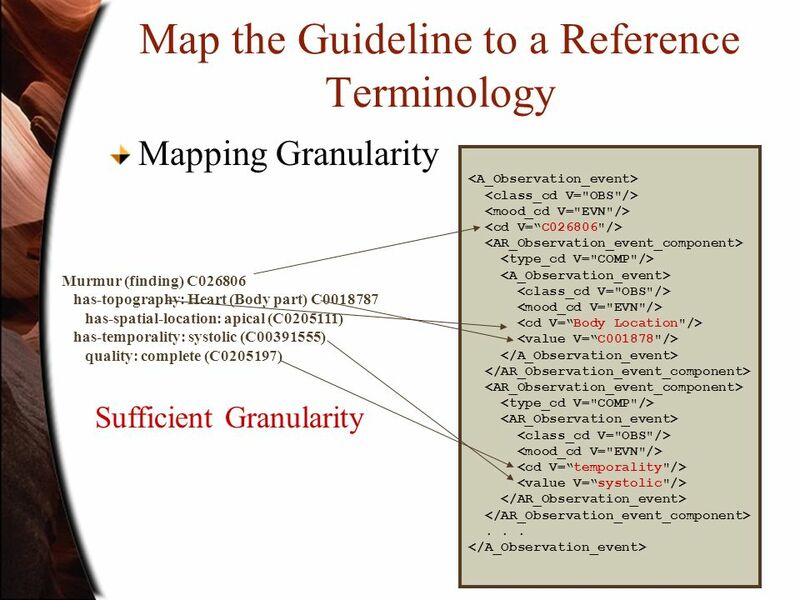 How do we create a mapping? 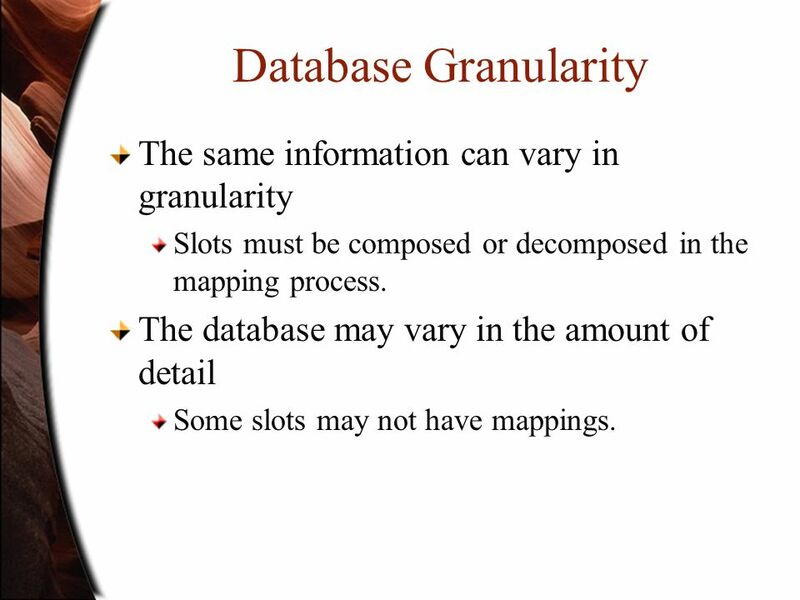 24 Database Granularity The same information can vary in granularity Slots must be composed or decomposed in the mapping process. 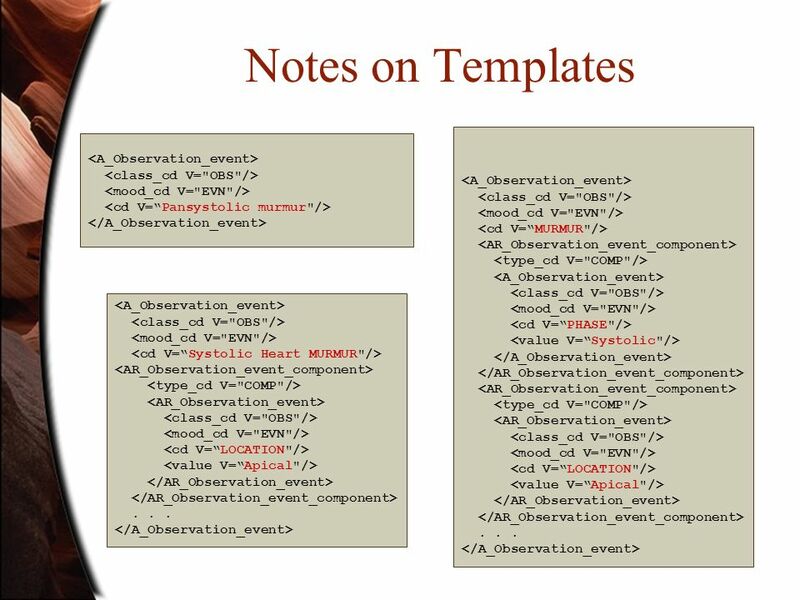 The database may vary in the amount of detail Some slots may not have mappings. 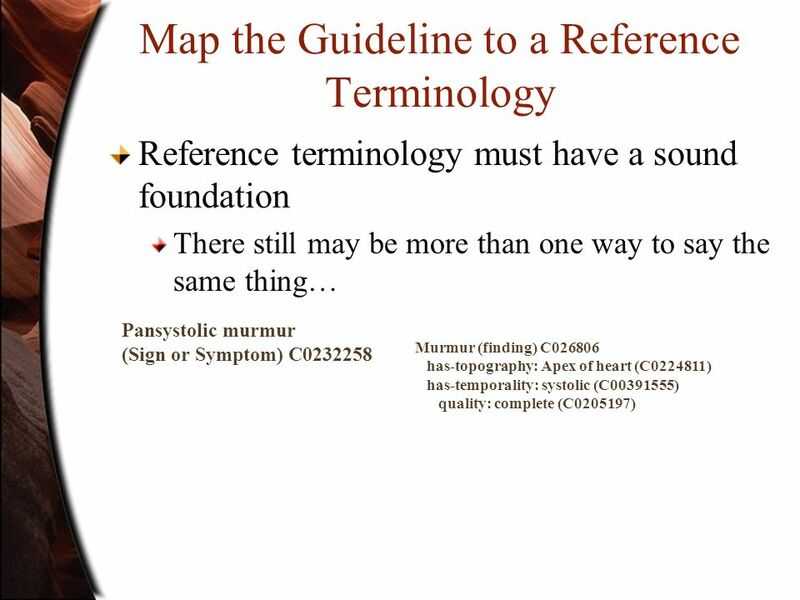 28 The guideline says that if the patient has a new apical pansystolic murmur we should... 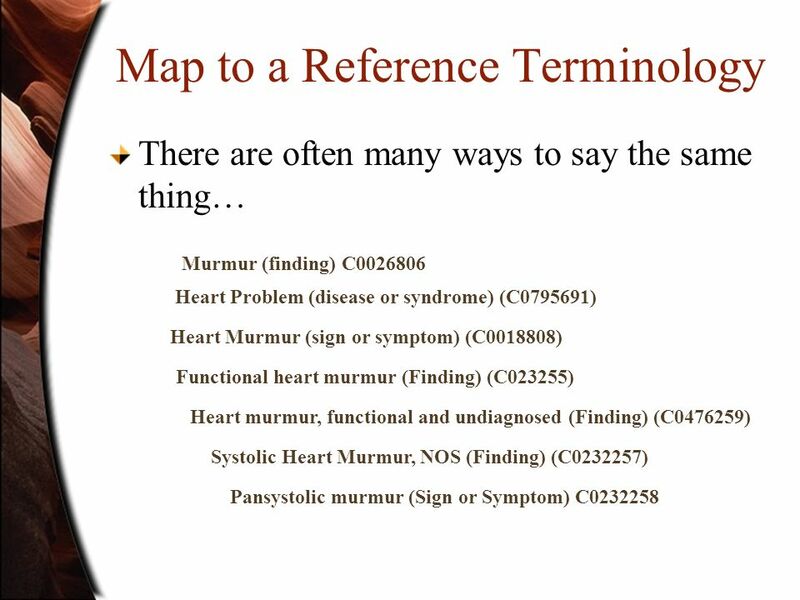 Looking in my database I find that the patient has a new murmur at the 5 th intercostal space. 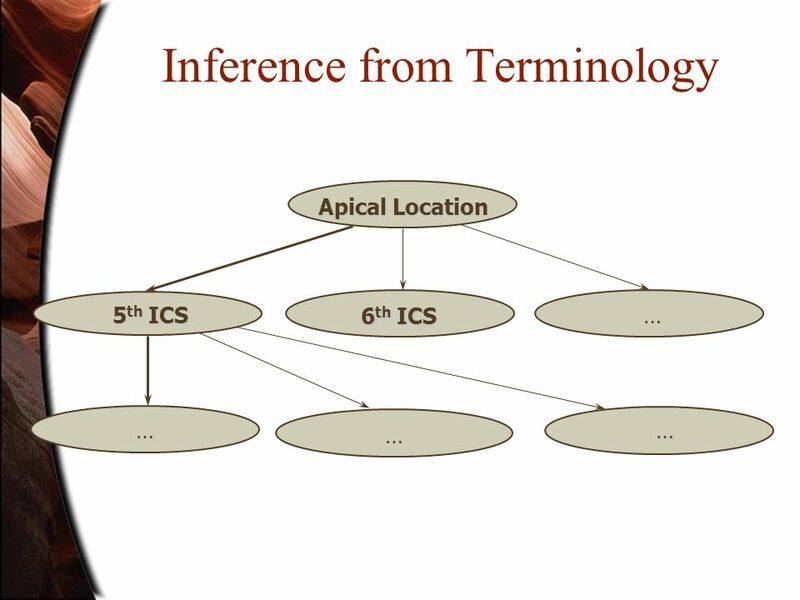 Is the 5 th intercostal space an apical location? 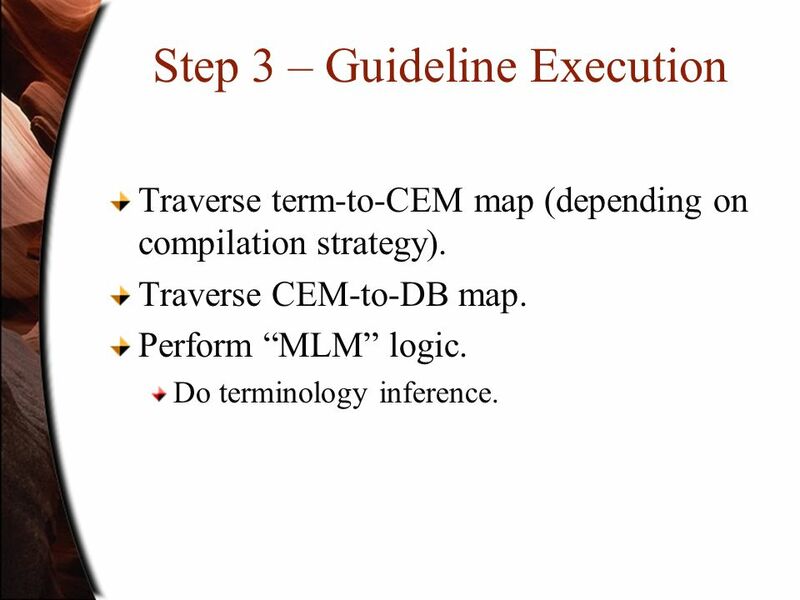 29 Step 3 – Guideline Execution Traverse term-to-CEM map (depending on compilation strategy). 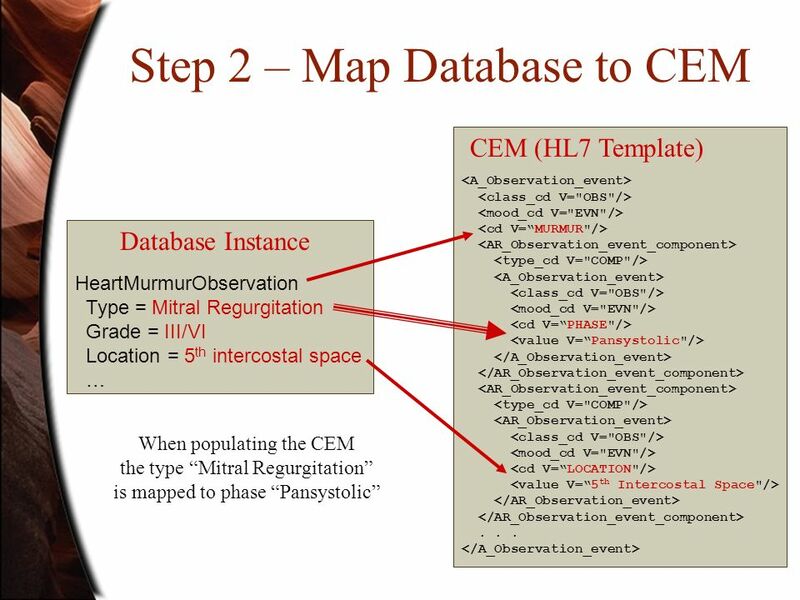 Traverse CEM-to-DB map. 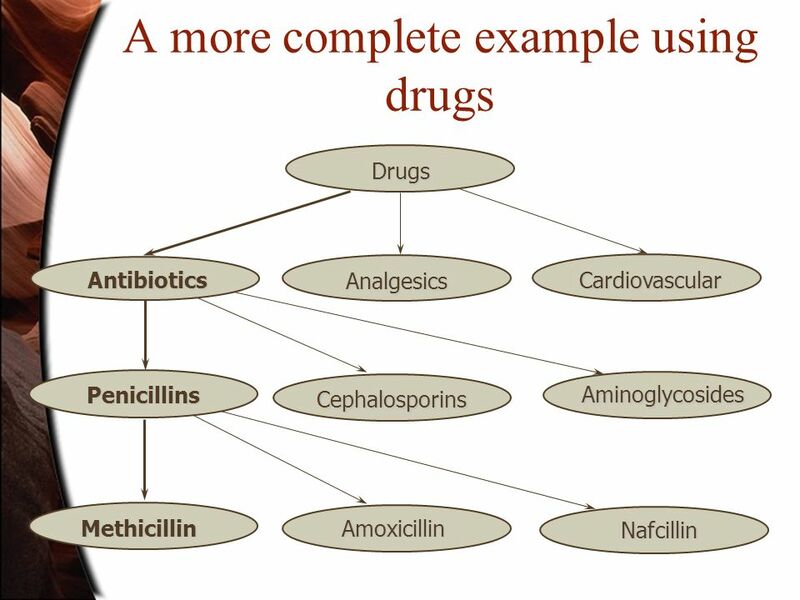 Perform MLM logic. 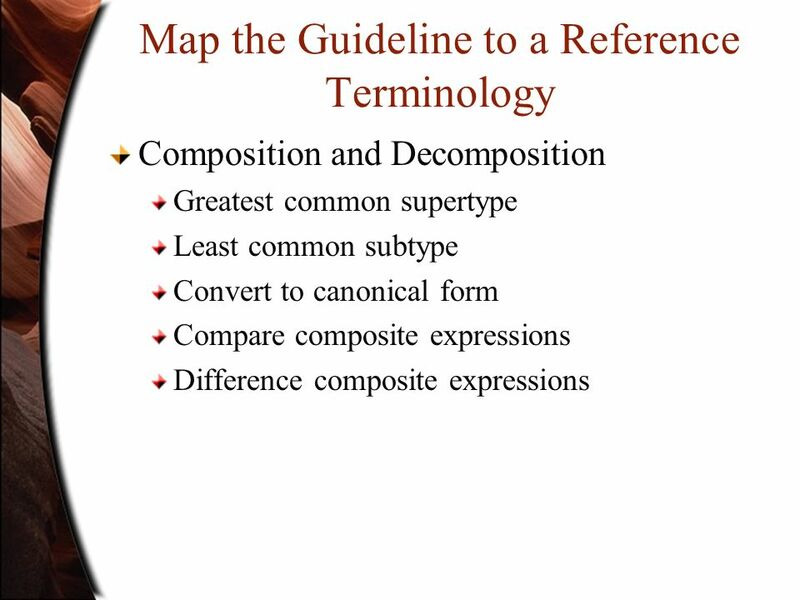 Do terminology inference. 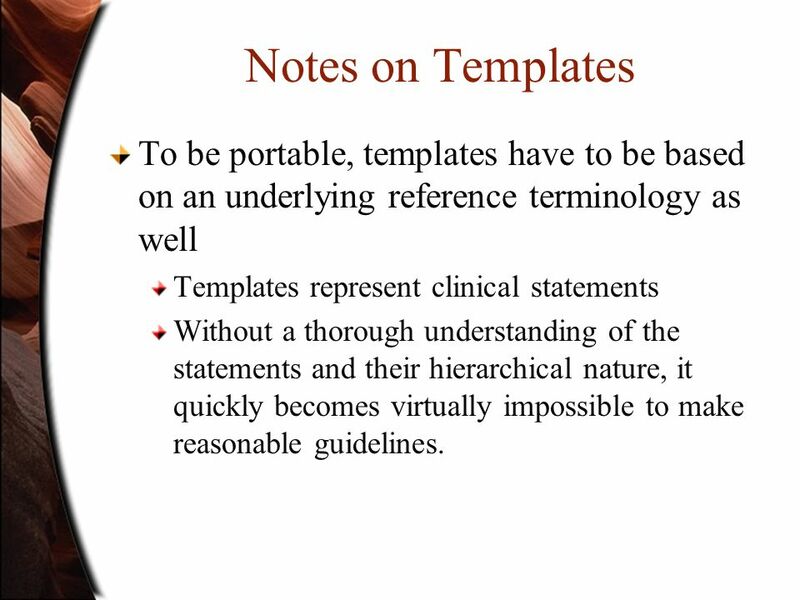 40 Notes on Templates To be portable, templates have to be based on an underlying reference terminology as well Templates represent clinical statements Without a thorough understanding of the statements and their hierarchical nature, it quickly becomes virtually impossible to make reasonable guidelines. 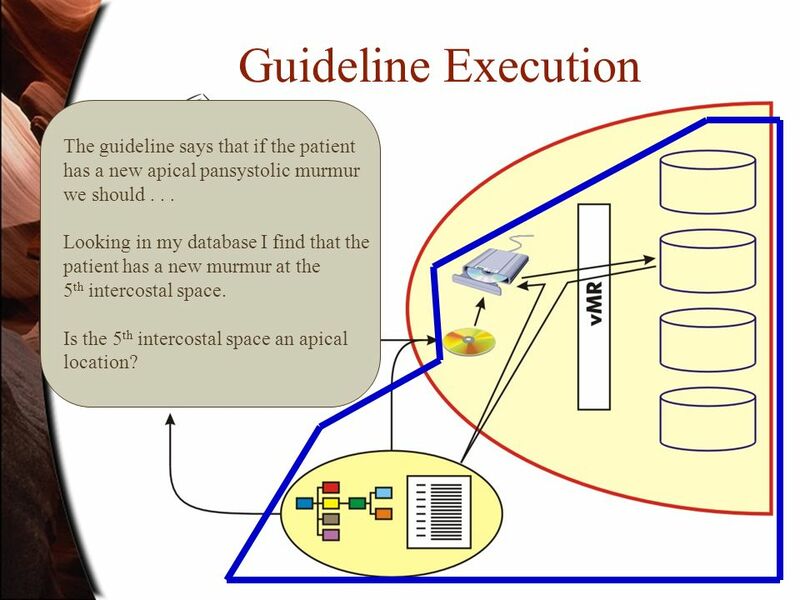 Download ppt "Clinical Model and Terminology Issues in Guideline Execution Craig Parker, Harold Solbrig, Stan Huff & Roberto Rocha as part of the SAGE project The SAGE." 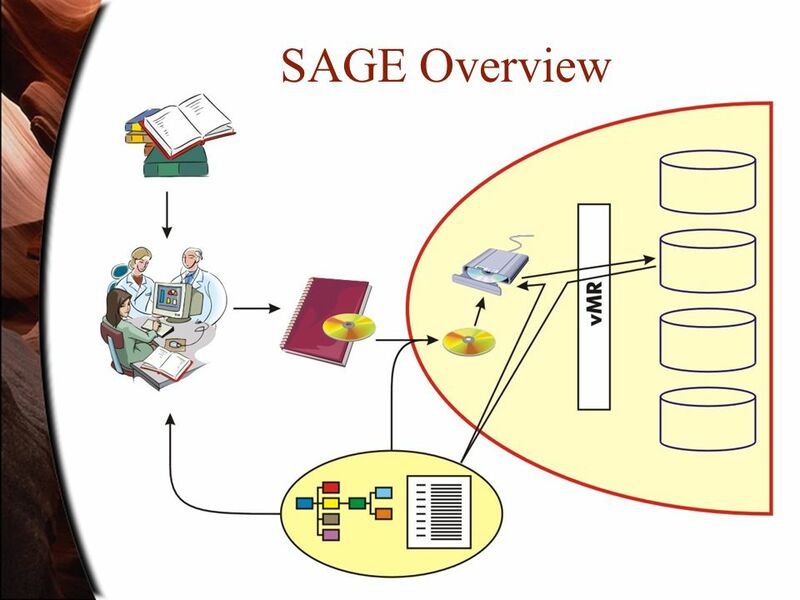 VMR Craig Parker The SAGE Project. 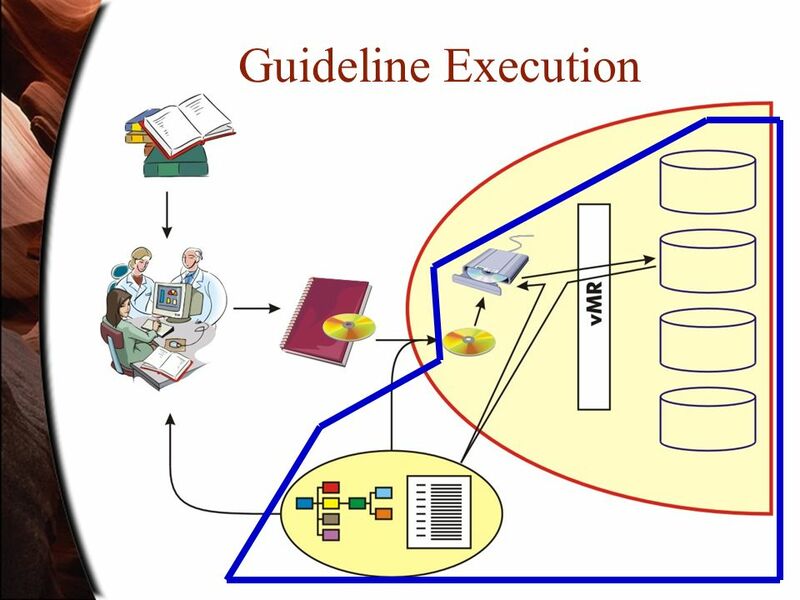 VMR and SAGE Initial phases of adopting the VMR Need to apply VMR to a broader group of guidelines than it was originally. 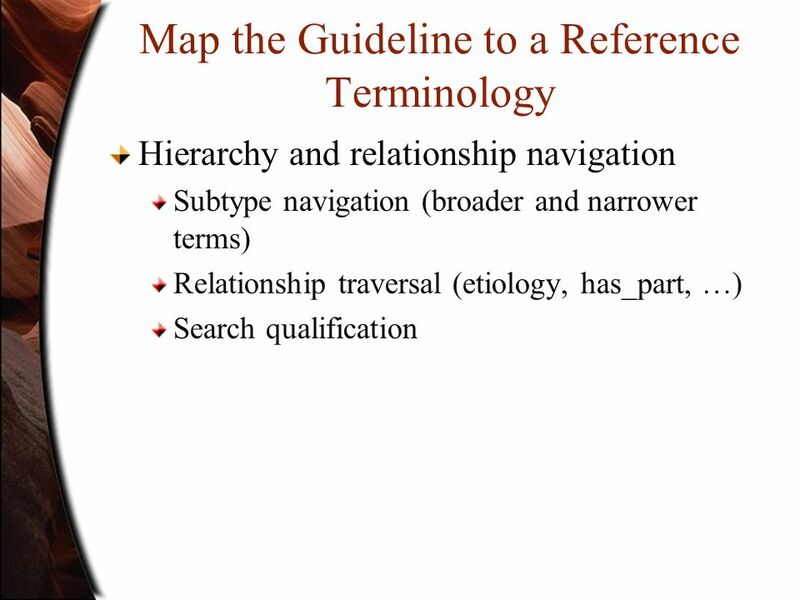 Limitations of the relational model 1. 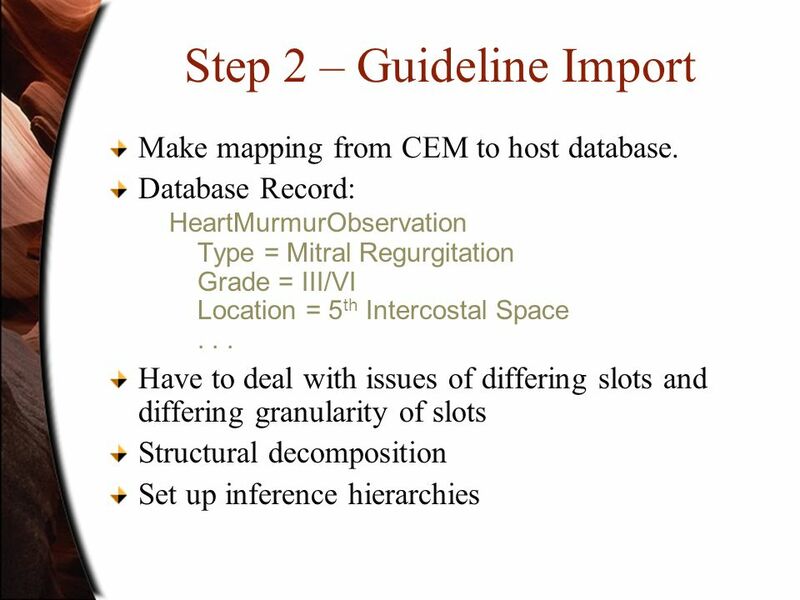 2 Overview application areas for which the relational model is inadequate - reasons drawbacks of relational DBMSs. 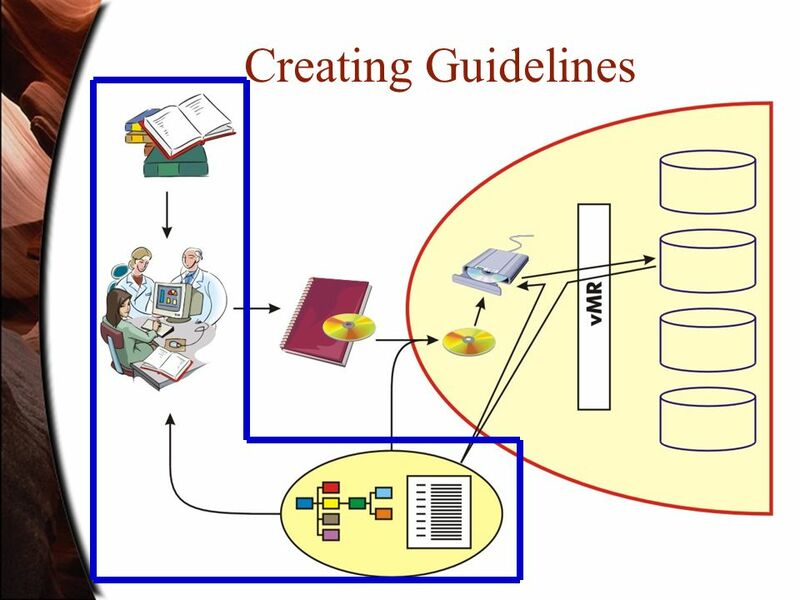 Biomedical Informatics Some Observations on Clinical Data Representation in EHRs Christopher G. Chute, MD DrPH, Mayo Clinic Chair, ICD11 Revision, World. 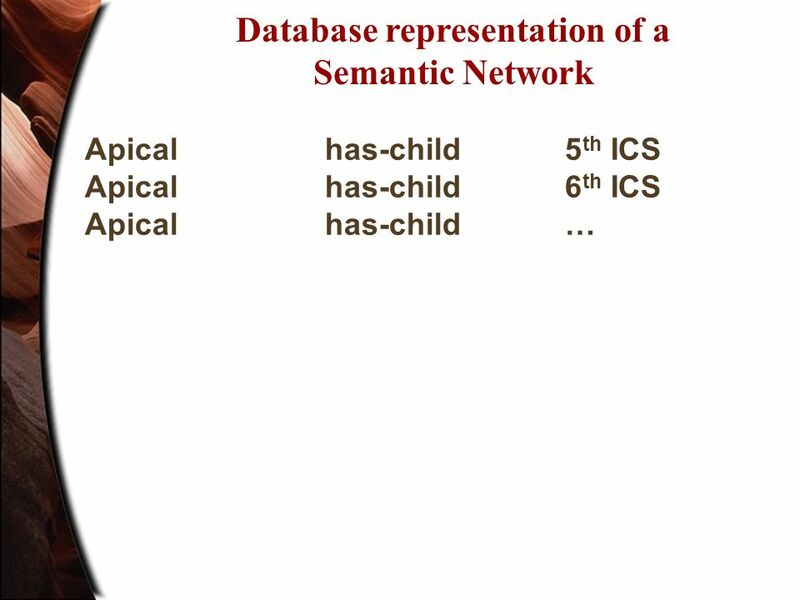 ISP 433/533 Week 2 IR Models. 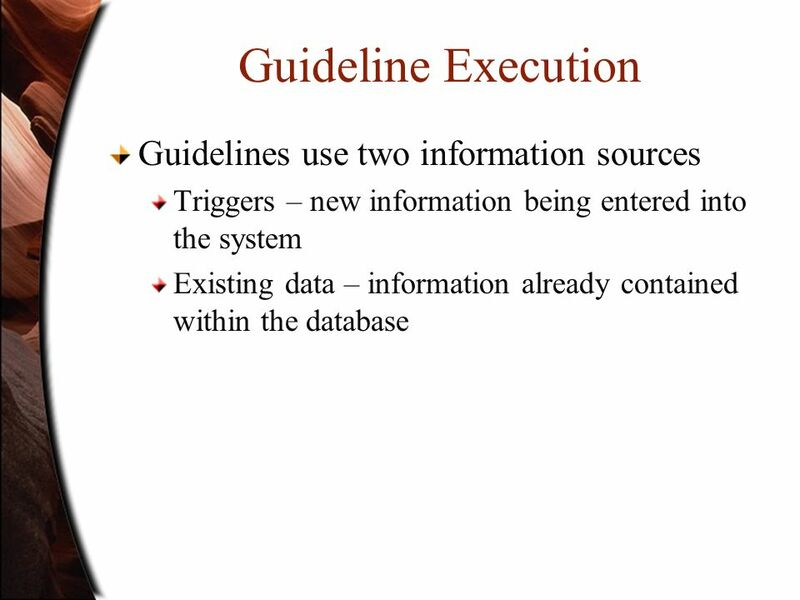 Irwin/McGraw-Hill Copyright © 2004 The McGraw-Hill Companies. 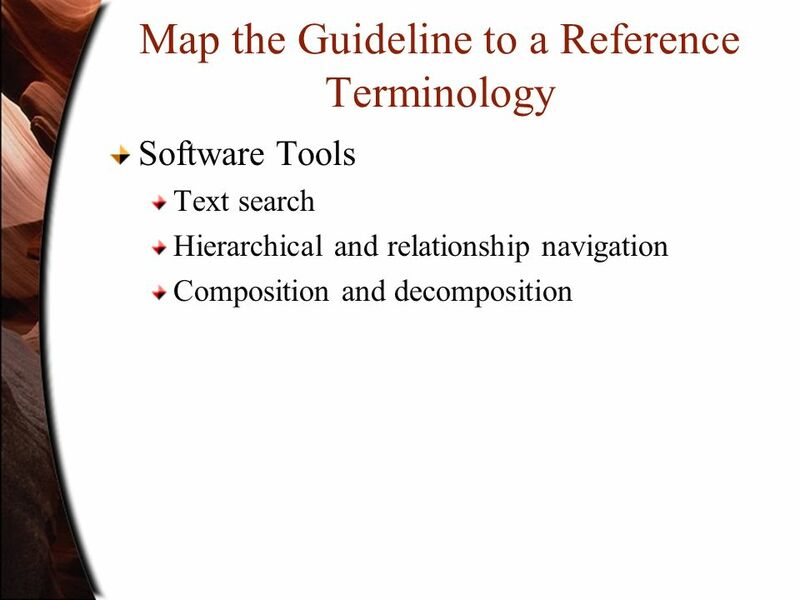 All Rights reserved Whitten Bentley DittmanSYSTEMS ANALYSIS AND DESIGN METHODS6th Edition. 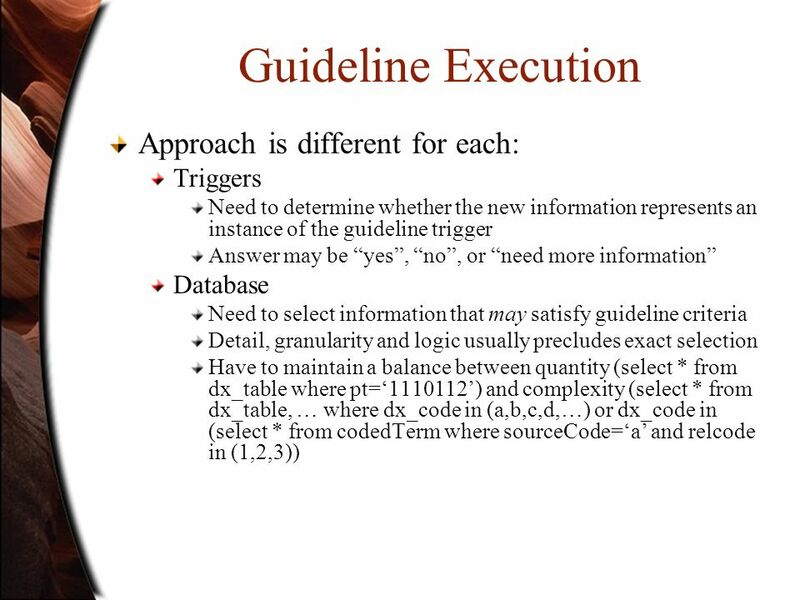 © Copyright Eliyahu Brutman Programming Techniques Course.